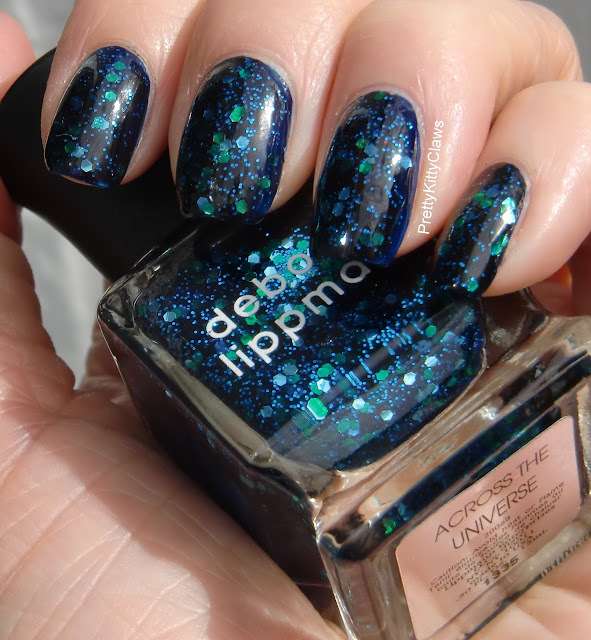 So today I have on this AMAZING polish which I had lemming for quite a while and finally got in a swap with one of my lovely polish friends. 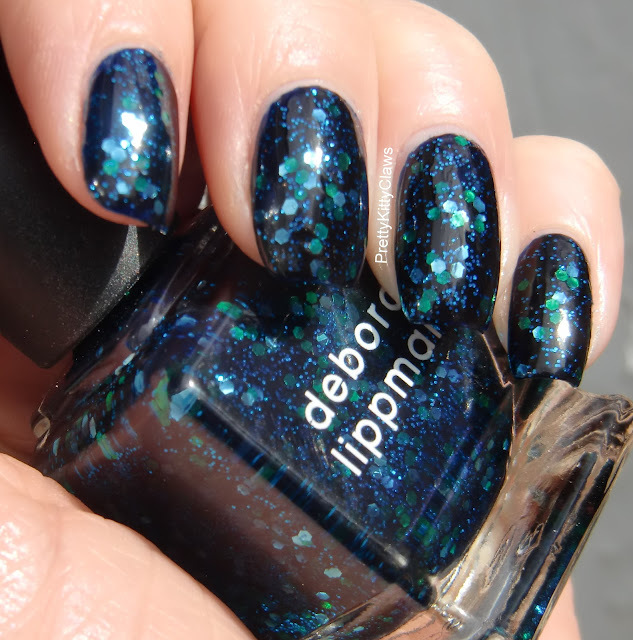 Deborah Lippman Across The Universe is a really beautiful polish which consists of blue and green hex glitter with tiny blue glitter, all suspended in a navy jelly base. I have layered it here over one coat Color Club Blue-topia. I actually applied 2 coats of Across The Universe but really it made little difference to the effect so next time I would save that polish and only use one. 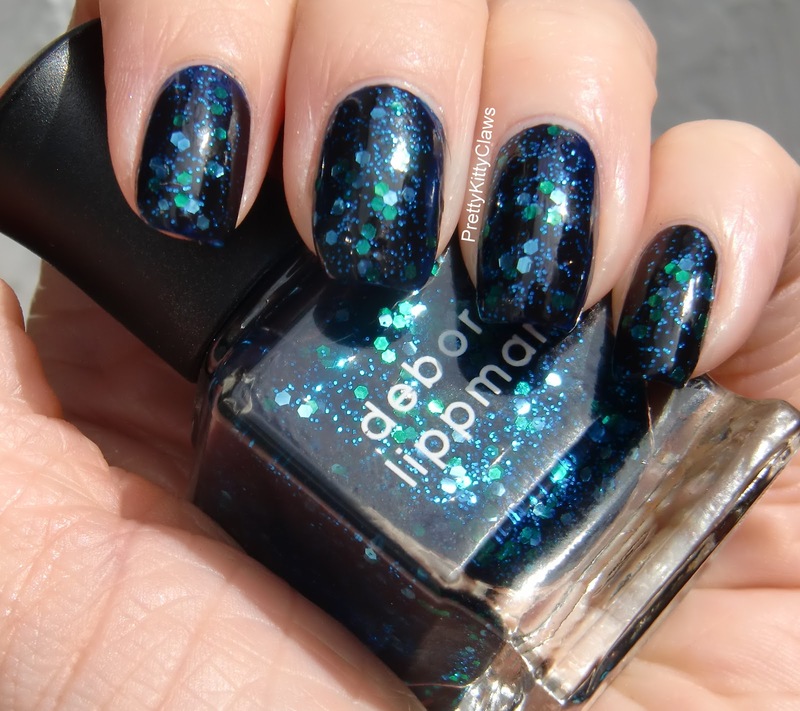 I thought this polish would dry gritty but it was actually very smooth so all I needed was 1 coat of Poshe topcoat. I absolutely love it and will definitely wear it again. 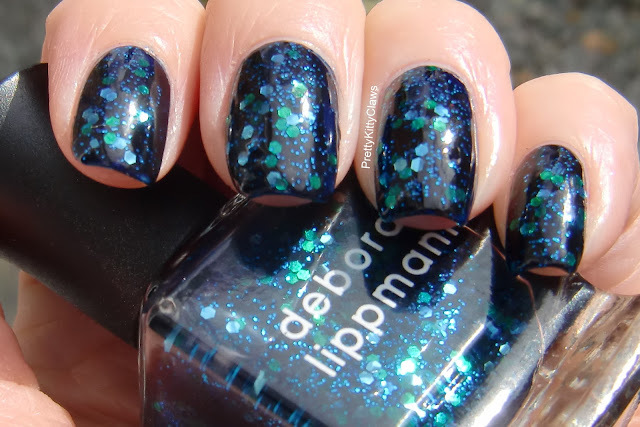 Deborah Lippman isn't the cheapest brand but I really do think it's worth it, if you don't own this polish I think it needs to go on your wishlist!